How to Create a Simple Frame using Swing API in Java?. In order to create our Simple frame using Swing Application Programming Interface in Java , we have to deal with JFrame class in Java , present in the package javax.swing. * ;. This program will display just the title on the window frame after running the program. The output of the program is the simple GUI window having close , minimize and maximixe buttons at the top right of the frame . The window component is a simple frame having nothing to display . 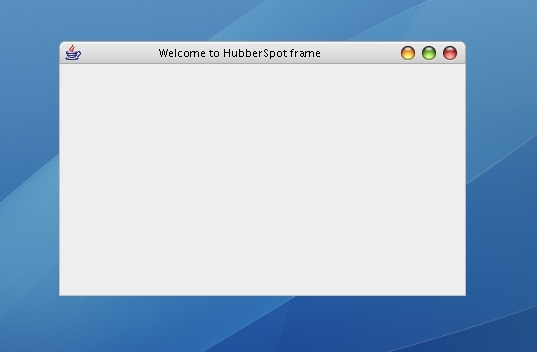 The frame in above example will contain a simple window having title displayed as : “ Welcome to HubberSpot frame ” .